It was early May 2017. We were at a restaurant in Whitefield, Bengaluru. Meeting Samim Rizvi had been in mind for quite some time. Putting it off to a more convenient instance wasn’t difficult. My job is to chronicle every subject’s past. The past doesn’t change if a meeting in the future is delayed – does it? That view changed on account of two developments. First, a chance perusal of a crowd funding website revealed that Samim was heading back to the US for another shot at Race across America (RAAM). Second, when I called him up to schedule a meeting, he seemed headed into the record books, albeit only `headed’ for the paperwork had been submitted and no official confirmation had been received yet. At the time of writing this article, the farthest distance cycled by anyone in a month was 6455 km by Janet Davison of UK. According to the Guinness Book of World Records, this was achieved over July 24 to August 22, 2015 with Janet daily cycling a 215 km circuit around Cheshire. The 2017 RAAM would be Samim’s fourth visit to the iconic race. When he commenced preparations for it, his team felt he could make an attempt at breaking the above mentioned record as well, using the daily training sessions for the purpose. “ I managed to cover 7777 km in a month,’’ Samim said. He decided to stop at that figure for it seemed a tidy number. Although Bengaluru is home now, that isn’t where Samim’s story starts. His childhood was in Dongri, Central Mumbai, a suburb, infamous for its links to the Mumbai underworld. “ My father stuck to the right path,’’ Samim said. In his younger days, Samim’s father used to be active in the Scouts and the National Cadet Corps (NCC) but following an accident, which brought him to hospital, he was diagnosed with diabetes. His mother was a good shooter and Samim believes she used to run, for he has seen an old podium photo from her college days. Both parents were post graduates in organic chemistry. Samim’s father ran a perfumery business; his mother was a teacher and eventually principal of a school. Born July 1969, Samim was the youngest of five siblings; three brothers and two sisters. While he didn’t delve much into it, he did say that growing up in Dongri was a testing experience. It was a tough neighborhood with potential to go astray lurking in every corner. By age four, he was learning martial arts, starting with karate. “ That brought discipline into my life,’’ he said. His first attempt at distance cycling happened when he was just ten years old. It was a trip from the Mumbai Central area to Borivali and back. As a school student, he read about leading sports personalities and dreamt of achieving something. He was also inspired by lines of poetry penned by Harivansh Rai Bachchan. Closer to cycling, he was in awe of some of his seniors at school who used to participate in the Mumbai-Pune cycle race. “ I don’t know why I liked distance cycling. Maybe it was the chance to be alone, no one to tell you anything, that feeling of being free. It was also perhaps closer to my personality; at home I was usually playing by myself. I was a loner – you could say,’’ he said. While that may have been perception at individual level, distance cycling has its teams. It is teams that make up the peloton of endurance races. Teams were prominent in sports magazines with articles on cycling. At age 16, Samim formed his first cycling team in Mumbai. In tune with the approximation of the entire exercise, the team was aptly called Errors. 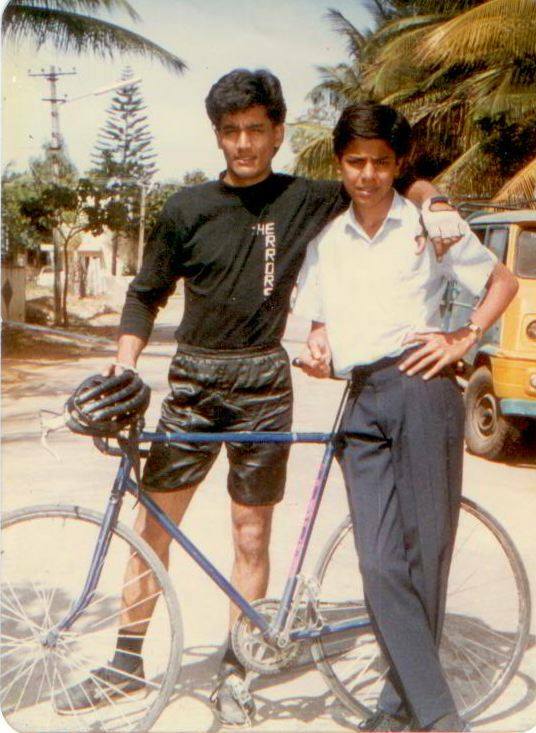 It was also occasion for Samim’s first pair of cycling shorts – it was made of satin; he had it stitched with sponge within for padding. “ Everything about Errors smacked of mistake. Thanks to what we read and saw in the media, it aspired for international but fell woefully short due to lack of gear, circumstances and experience,’’ Samim said. In the history of bicycles – indeed the history of personal transport –`Flying Pigeon’ is famous. On the Internet, it shows up as the name of a bicycle company located in Tianjin, China. Its Flying Pigeon PA-02 model (based on the Raleigh roadster) – Wikipedia says – sold more than 500 million units over 1950-2007. The next highest sold vehicle is the Honda Super Cub, which by 2008 had passed 60 million units in sales. So sought after and ubiquitous was the Flying Pigeon in China that Deng Xiaoping is reported to have once described prosperity as “ a Flying Pigeon in every household.’’ Samim’s elder brother was a strong cyclist and the brothers used to compete with others, cycling loops around Marine Lines in the city. Samim’s parents gifted his brother a Flying Pigeon road bike. Soon enough, the younger sibling took it over. Samim loved riding it fast. He obtained an eight speed gear set from a friend and for a brief while managed to make it work on the Flying Pigeon. When the gear set had to be returned, Samim converted the Flying Pigeon into a fixed wheel bike. “ Those days it was largely riders riding on tracks who used a fixie,’’Samim said. The absence of freewheel behind meant that both accelerating and decelerating the bike depended on one’s legs and cadence. It is not easy to master. Samim however adapted well to the fixie. “ Looking back, I suspect my bike handling skills and smooth peddling motion probably came from using that fixie,’’ he said. In 1986, Samim’s father and his elder brother shifted to Bengaluru. A year later, the whole family followed. Samim had his trusted Flying Pigeon along. “ It was an extension of my being that I couldn’t part with,’’ he said. In Bengaluru, Samim’s first memorable adventure in cycling was with his Indian-Chinese classmate from college, Yang Yen Thaw. The latter had just taken delivery of a BSA Mach 1 bicycle and the two decided to head straight for Nandi Hills. It was to be a night ride. “ It was buying the cycle and heading out immediately. We had a torch but no money for the road, no food, no water,’’ Samim said. Lashed by rain, the duo were soon cold, hungry and shivering. An old lady, who took pity on them, shared some bananas. By 3 AM or so, they reached the top of Nandi Hills, where Yang ran to Nehru House and sought help. They got a warm bed and slept for two hours. Then they headed back to Bengaluru. The descent was particularly difficult for Samim, given his Flying Pigeon with a fixie. “ I was thrown all around on the road,’’ he said. That outing to Nandi Hills – nowadays the trip is a regular fixture for Bengaluru’s cycling community – was Samim’s first real taste of distance cycling. Following that first trip, he began to cycle to Nandi Hills frequently. “ I have this crazy bonding with that place,’’ he said. If you believe in the 10,000 hours-paradigm, then what followed must have contributed much to making Samim the endurance cyclist he is today. Approximately 50 km south west of Bengaluru is the small town of Ramanagara, famous in India as the location where the block buster movie Sholay was shot in 1975. It is additionally well known as a destination for rock climbing. Samim’s father wanted him to be an engineer. In 1989, he joined an engineering college in Ramanagara. From where he stayed in Bengaluru to the college, it was a distance of 67 km. For the next four years, most working days, Samim cycled up and down logging 134 km daily. He soon became quite proficient at this commute. “ Sometimes I feel sad I passed my engineering course in four years,’’ Samim said laughing. In 1993, he joined Jet Airways on the engineering side, working there for the next two and a half years. During this period, he got side tracked into body building. “ That was the worst decision I made. My cycling suffered. I became top heavy and all that,’’ he said. A small group of men walked into the restaurant. “ My support team,’’ Samim said, introducing them. It included his son. They left agreeing to wait in the neighborhood till we finished our chat. There was a ride scheduled early next morning for which a team meeting was necessary that very evening. Pogostemon Cablin is the botanical name for patchouli, a bushy herb of the mint family. The heavy, strong scent of patchouli has been used for centuries in perfumes and more recently in the manufacturing of incense. Karnataka (of which state, Bengaluru is capital) is a major center of India’s agarbati (incense) industry. These were among reasons Samim’s father shifted his business to Bengaluru. Besides being a perfumer, he was also local agent for a French perfume company. In the early 1990s, there was a period when the price of patchouli oil ruled high and supply was low. Someone told Samim’s father of a container load of the highest quality available. The deal was almost finalized, when Samim took a sniff from the sample bottle and warned his father that it wasn’t top quality oil; he was being swindled. Alarmed his father sent the sample for testing. It turned out to be low grade oil. Samim seemed to have a nose for fragrances. His father suggested that the engineer move to France to do a formal course in perfumery sciences. He did so, spending time in Grasse in southern France for the purpose. Being in France meant something else too – cyclist side tracked into body building and regretting the decision, got back into cycling. No better country to make that homecoming, than France. On his return to India however, his family failed to use his newly acquired skills in the perfumery trade. They put him instead into the agarbati business, where Samim set himself up to make niche, high end products. Just as this enterprise was taking off, his father lost his longstanding business with the French. That restricted cash flow. Amid this, Samim’s mother was diagnosed with liver cancer. The large family, living together, was shaken up. They managed to find alternative accommodation. But debt started piling up. The agarbati business was shut down. Their original house was taken over by the bank. It was a desperate time. 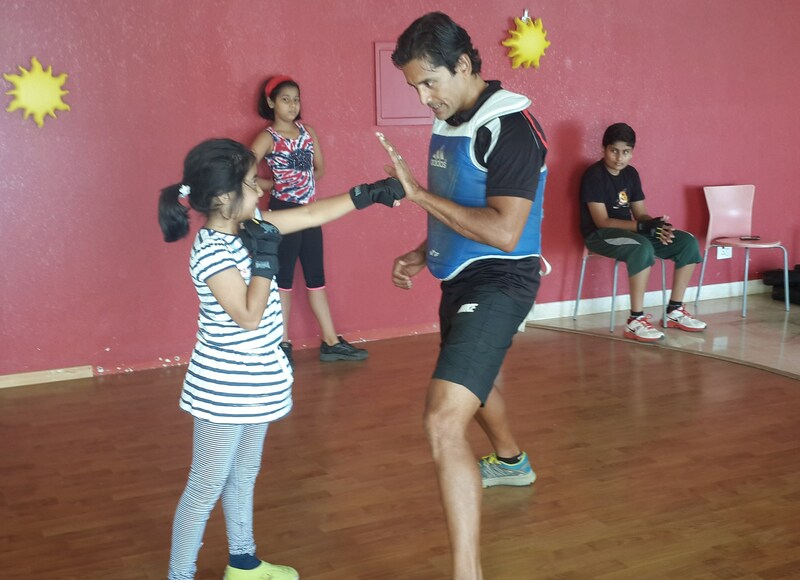 What helped Samim at this juncture was what he had learnt since age four – martial arts. In the years that followed, he had become a first degree black belt in karate and judo and a second degree black belt in taekwondo. 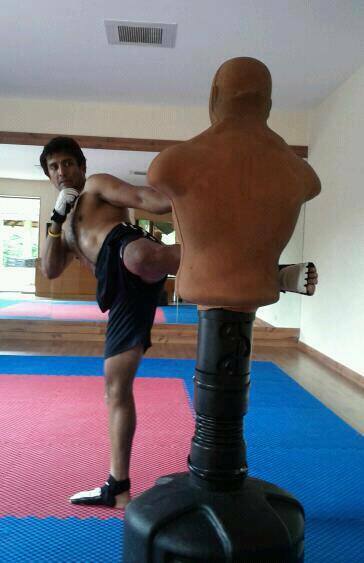 He had also won a silver medal in boxing for Karnataka at one of the National Games. Plus he was into cycling. In 2005, putting all this together, he set himself up as a personal trainer. This was a turning point for the better. Clients seemed to like his work. Income was decent; Samim’s wife had also begun working by now. RAAM was started by John Marino in 1982, as the Great American Bike Race. The first race featuring four riders commenced at Santa Monica in California and concluded at the Empire State Building in New York. Lon Haldeman was the winner in 1982 cycling the distance in nine days twenty hours and two minutes. The race has always run from the US west coast to the east; it covers roughly 4800 km. Unlike the better known Tour de France, which is composed of multiple stages, RAAM proceeds as a single stage with an overall cut off time. Winners typically complete the length of the race in eight to nine days. Given near continuous cycling (very few breaks are taken), sleep deprivation has always been one of the major challenges on RAAM. As a result, riders may hallucinate. According to Wikipedia, in 2006, a solo enduro division was added to race categories, which requires racers to take rest at specified points for a total of forty hours. These changes were made to improve safety and shift the emphasis from fighting sleep deprivation to long distance cycling speed. Interestingly, affection for this format faded over time and it was eventually removed from RAAM. The official RAAM champion now is the winner in the traditional format. On the average, participants make do with around one and a half hours of sleep every day. In 2014, Austrian cyclist Christophe Strasser won his second RAAM cycling 4860.2 km in seven days, fifteen hours and fifty six minutes, translating to an average speed of 26.43 km per hour. A year after RAAM commenced its experiment with the now defunct enduro division; back in India, Samim was having a tryst with something different from cycling. Although committed cyclist and having sound endurance thereby, he hadn’t got into running in the real sense of the word. Yet in September 2007, at the prodding of his friend Arjun, he ran 1100 km from Bengaluru to Mumbai (some deviations en route included) over 22 days. Then, he cycled back to Bengaluru in three and a half days. It was at the end of this trip that Samim did an Internet search for the toughest race in the world. Among the results that popped up was: RAAM. It had a qualifying norm – you had to ride 675 km in 24 hours. 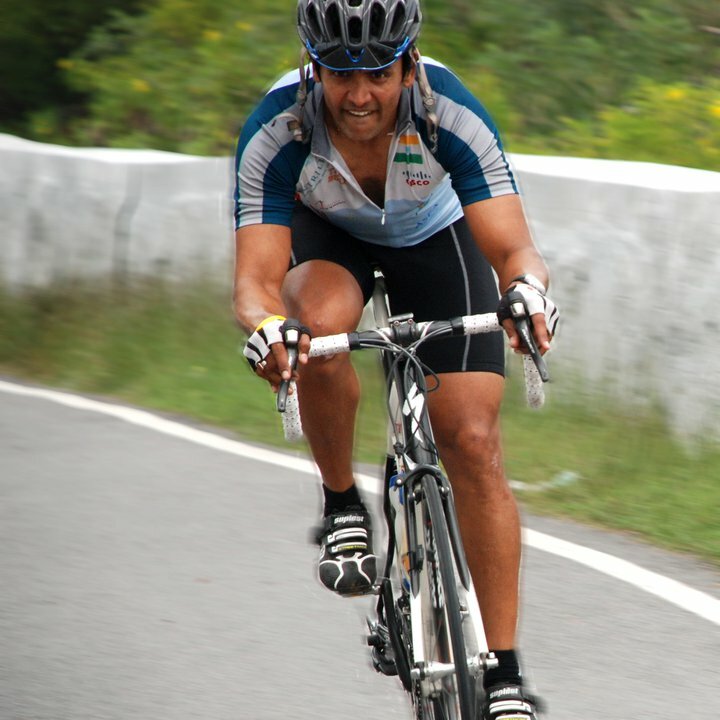 By now Samim was participating in cycle races in Bengaluru and long distance rides. Among popular distance trips from the city is the Bengaluru-Ooty-Bengaluru ride. Samim’s fastest time on this route, riding a Trek alloy road bike, was roughly 27 hours. 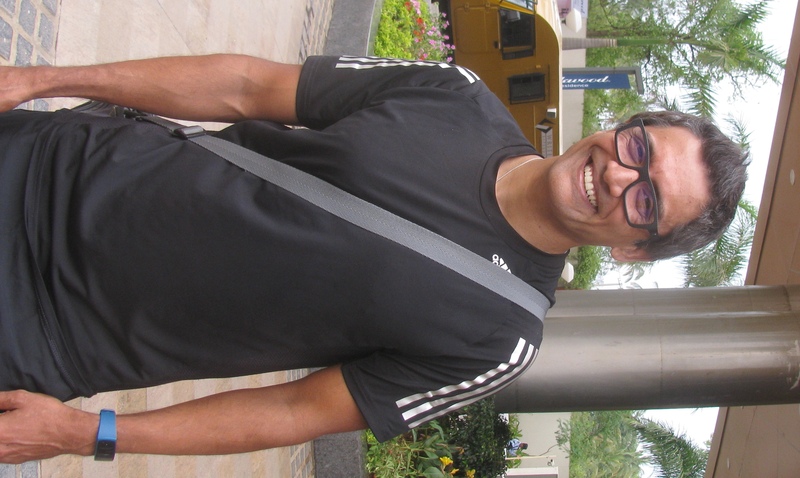 Dinesh Reddy, owner of Red Rooster Racing, was among those who tracked Samim’s Bengaluru-Mumbai run. He offered to help out with RAAM. Samim shifted to racing with Red Rooster briefly. Although Red Rooster provided him with a Specialized Tarmac road bike, the arrangement didn’t last long. So it was with Bulldog Sports that Samim got through his RAAM qualifier. 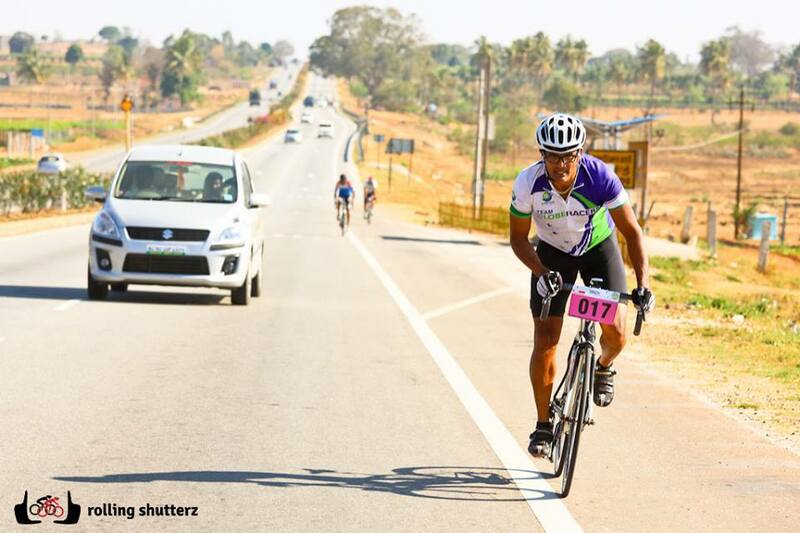 It was done on the Nandi Hills road (using the Specialized Tarmac); he notched up 701 km in 24 hours. According to Samim, he was the first Indian and the third Asian to qualify for RAAM. Of great assistance were folks from the local arm of Cisco. Some of them were his clients (as personal trainer) and they had come to cheer him on the qualification ride. Accepted for the 2010 RAAM, Samim estimated his total costs at Rs 30 lakhs (three million rupees). Cisco helped raise funds. For the race in the US, he bought a new bike using part of the resources Cisco provided – a Specialized S-Works Roubaix. 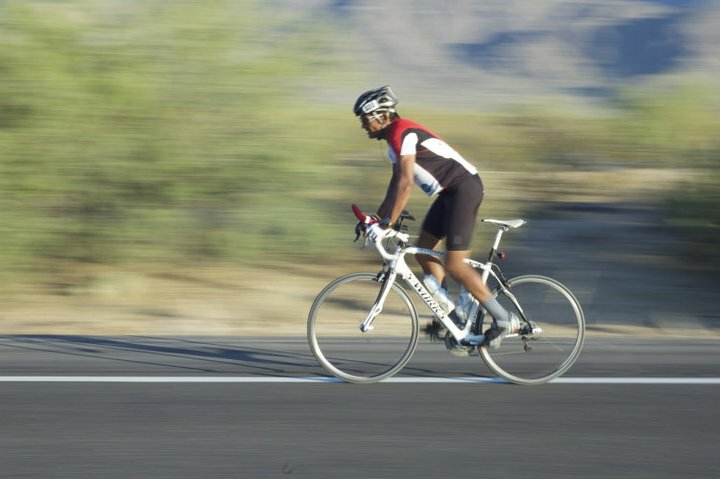 To train for RAAM, besides his regular sessions, Samim spent 25 days cycling in Ooty. Samim’s first RAAM was a bad experience. The race commenced at Oceanside, California. Past Flagstaff in Arizona, on a long downhill section, his support vehicle came up alongside and inadvertently pushed him against the hill on one side of the road. As it did so, the front wheel of the spare bike mounted behind the vehicle, clipped against Samim’s shoulder. Given the incident was happening at speed, he flew off the bike. For about 15 minutes he was unconscious. Then he pulled himself up and resumed cycling. “ At that time I knew my RAAM was over. I had hit my head on the ground and my body was badly bruised. I kept going but the problem in RAAM is that just going on is not enough. For instance, there is enough uphill in this race that is equivalent to doing Everest thrice back to back,’’ he said. He somehow reached Mexican Hat, typically associated with nasty weather. When the rains hit and temperature dropped to two degrees, he found that the team hadn’t packed in rain gear. He was reduced to cycling wearing a plastic bag. 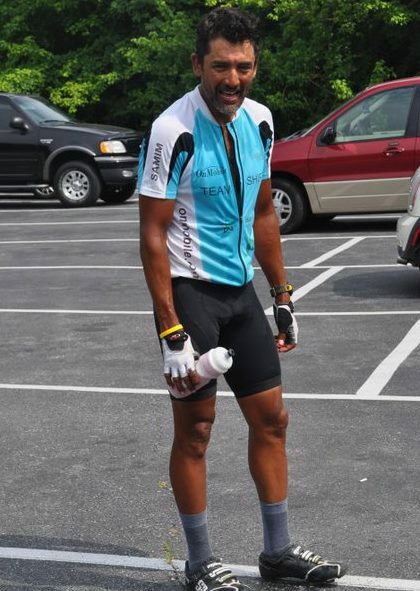 “ I rode 100 miles like that,’’ he said. At Durango, Colorado when he got back on to the bike after a brief rest, he was seized by vertigo. Then he fell unconscious and was taken to hospital, where he was diagnosed with pneumonia. 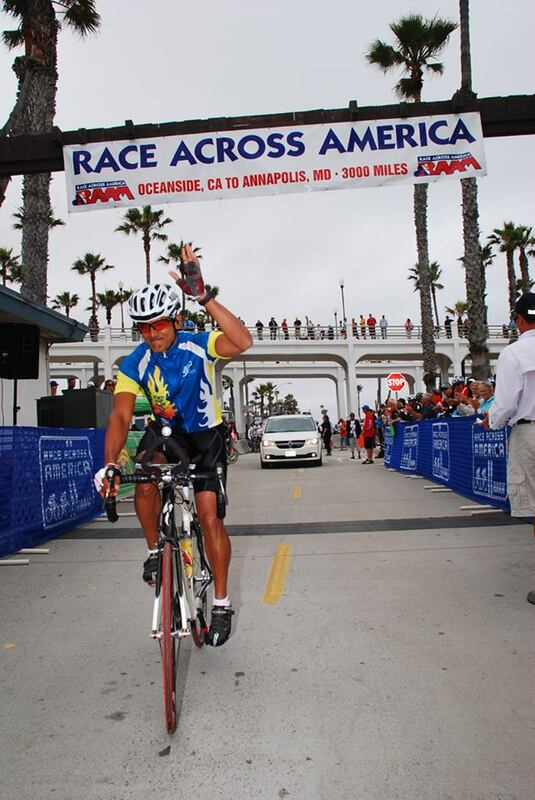 It was the end of the 2010 RAAM for Samim. Durango was roughly a third into the race. 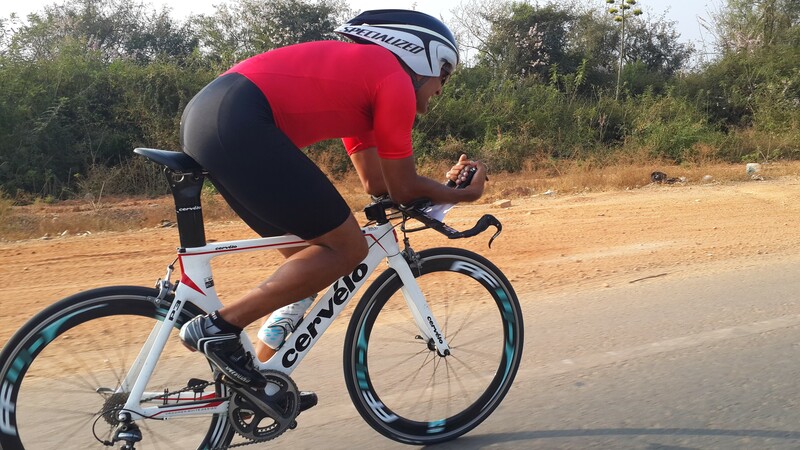 Returning to India, Samim busied himself with distance cycling on the local circuit; he kept doing Bengaluru-Ooty-Bengaluru and Bengaluru-Chamundy-Bengaluru. You were only waiting for this moment to be free…. In 1968, the year before Samim was born, British rock group The Beatles released their ninth studio album named after the group. The album also came to be known as the White Album. Many of the songs in the album were written over March-April 1968 during the band’s time at a transcendental meditation program in Rishikesh. One of the songs therein was Blackbird; Samim liked this song. Samim returned to RAAM two more times, on both occasions supported by Globeracers. In 2011, by day four, his sleep deprivation was causing hallucinations. Among what he imagined was, a blackbird following him. That year, he completed RAAM’s entire distance. According to the write-up submitted for his 2017 crowd funding campaign, the finish was “ just outside the 12 day cut-off.” The completion however made him eligible for a permanent bib number; his is 400. It also spared him need to re-qualify for the race. “ That was my best year,’’ Samim said. The phone rang; a reminder of team meeting due. In situations like RAAM and preparing for RAAM, every cyclist’s team has as much say on matters, as cyclist himself. Grasse, the commune in southern France, where Samim went to do his course in perfumery sciences is often called the perfume capital of the world. Home to a prosperous perfume business since the 18th century, it is the center of the French perfume industry. Its microclimate is said to have been apt for flower farming, the place is sheltered from sea air and water availability is good thanks to its location in the hills. Several tonnes of jasmine, a flowering plant originally brought to these parts by the Moors in the 16th century, are now harvested annually in Grasse. Roughly 675 km north-west from Grasse is the French capital, Paris. This great European city is base for the oldest long distance road event in cycling; participants pedal some 600 km westward from Paris to Brest in Brittany and back. In the world of cycling, it is called Paris-Brest-Paris or PBP. In cycling parlance, it is a brevet event meaning the cyclist is unsupported. Riders can buy supplies along the route but support by motor vehicles is prohibited except at check points. There is a 90 hour-limit and the clock runs continuously. In 2011, three months after his successful completion of that year’s RAAM, Samim reached France to attempt PBP. He hadn’t trained specifically for the event, trusting things to work well after a good RAAM. It did. He completed PBP’s 1230 km-stretch in 72 hours, 15 minutes. As of May 2017, it was still the fastest time by an Indian. The 2011 event was topped by Christophe Bocquet of France, who zipped through the distance in 44 hours, 13 minutes. But one swallow does not a summer make. Two years later, it seemed 2010 all over again for Samim, albeit differently. Returning to RAAM in 2013, he was forced to give up half way through the race. This time, he acknowledged, his training had been quite inadequate. “ I wasn’t prepared at all,’’ he said. Getting ready for the 2017 RAAM, Samim and his team decided to include in preparations; that crack at breaking the record for maximum distance cycled in a month. He logged up 7777 km; according to him, the ratification process, which takes time, is underway. Samim feels he would have covered more distance were it not for the state of Indian roads and his bike giving up in between, forcing him to cycle a couple of days on a heavier, slower mountain bike. The preparations for RAAM haven’t been without challenges. While returning from an outing in Nandi Hills, Samim suffered a road accident. One of his Specialized bicycles was mounted on his car’s rear when it was rammed from behind. The bike was completely damaged. As replacement, the guilty party presented the RAAM cyclist with an ordinary Indian roadster. One day he arrived for work at a client’s house on the roadster. The client, who was supportive of Samim’s passion for cycling, offered to help. RAAM in mind, orders were placed for a Look 695 road bike. Further, a crowd funding campaign was underway to meet the expenses of the US trip. The support crew is drawn from friends he has known for long in Bengaluru. He was scheduled to leave for the US in June. “ The goal is to eventually complete RAAM in ten days,’’ Samim said. It had been a long chat. Bill paid; we stepped out of the mall in which the restaurant was located. A quick couple of photos and Samim took leave, hurrying off into a nearby lane to join his waiting team.